We've been following Matt and Shane Corish’s progress on their V12 LS1 since we first heard about it and did a preview a few months back. 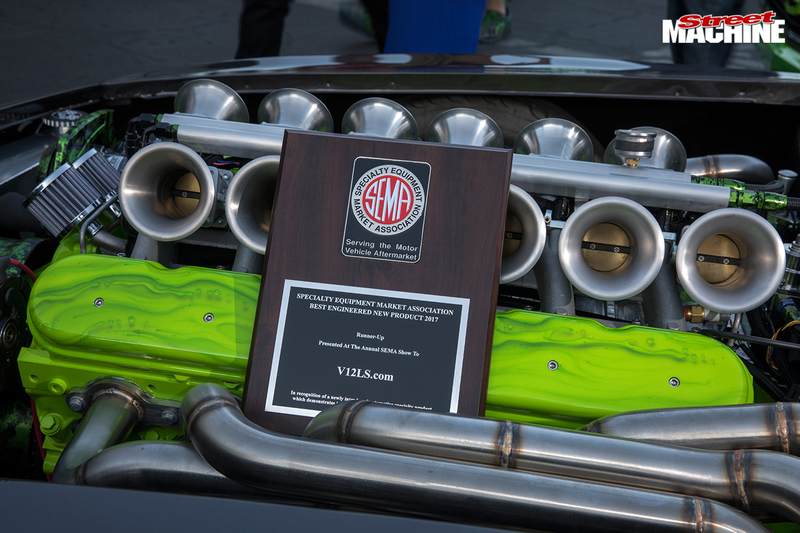 Their goal was to get one of the engines fitted into a car and debut it at SEMA and they got there, for the most part. While the ’67 Camaro from Quality Custom Rides wasn’t quite finished, most people couldn’t get past the engine bay to spot the unfinished interior. The engine in the Camaro has been updated with 12 individual throttle-bodies, replacing the dual-quad set up the engine had initially. The pipes are also new and a major improvement and with Haltech pressing the buttons on the tune up, it should be well up on the 717hp test runs. Mike Heim from Quality Custom Rides stands proudly next to the ’67 Camaro he’s owned for over 30 years. It’s been chopped, channelled and customised like no other Camaro and is the perfect recipient for the wild V12 engine. While the initial blocks were made from cut up V8s, they’re about to go into casting their own blocks.“I always liked doing something different. I personally love an engineering/technical challenge and the harder the challenge the more I enjoy it and the more rewarding it is when you get something done,” says Shane. 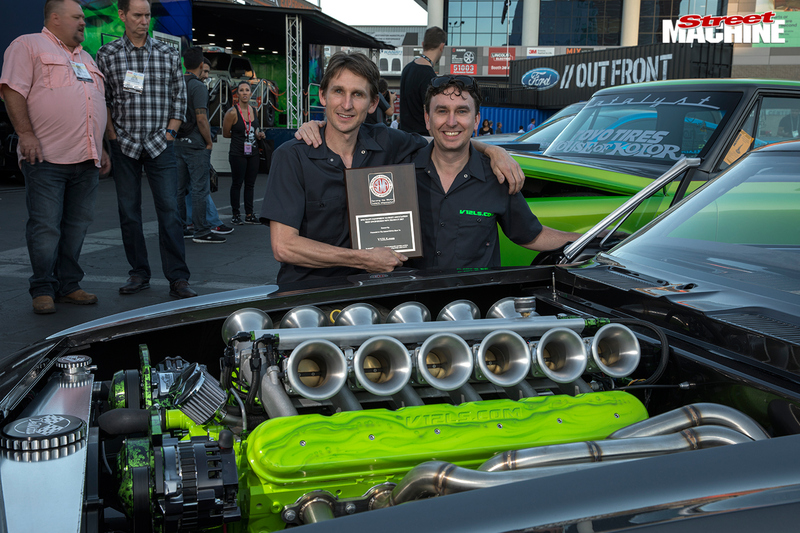 Shane and Matt Corish proudly display the award for Runner Up Best Engineered New Product. Getting noticed at SEMA amongst the thousands of other new products is an impressive feat and should bode well for the project. Hopefully we’ll see some fully completed projects with V12 LS power soon. Mike from QCR has hinted that they’re working on a new project to see just how much power one of these engines can pump out. It’s just another great example of what happens when Aussie ingenuity meets US muscle and it’ll be great to see how it all pans out.